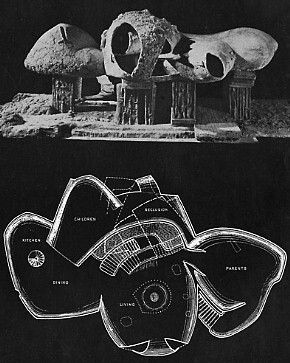 Frederick Kiesler, The Endless House (1960). 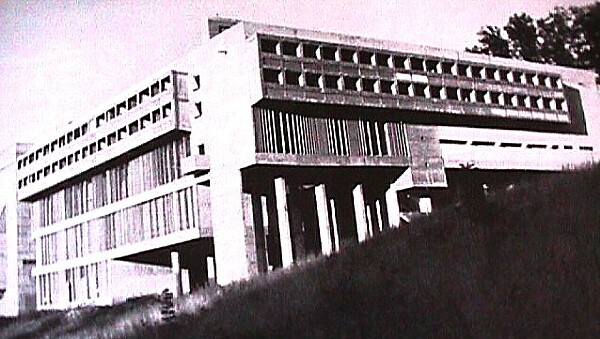 Lee H. Nelson, White, Furness, McNally and The Capital National Bank of Salem, Oregon (Journal of the Society of Architectural Historians, May 1960). Carroll V. Meeks, Pantheon Paradigm (Journal of the Society of Architectural Historians, December 1960). Philip Johnson, "Where Are We At?" Architectural Review, CXXVII (September, 1960), pp. 173-75. Review of Reyner Banham, Theory and Design in the First Machine Age. Excerpted in Jacobus, Philip Johnson, p. 118. Philip Johnson, Informal talk. London, Architectural Association, School of Architecture, November 28, 1960. Le Corbusier, Monestery Sainte-Marie-de-la-Tourette (Eveux, France: 1952-60). Myron Goldsmith SOM, Steel Exhibition for the 1964 World's Fair (Project, New York, 1960). 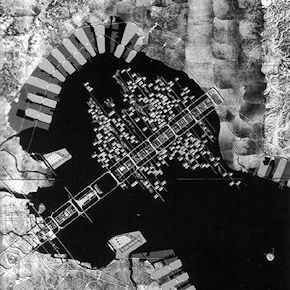 Kenzo Tange, Plan for Tokyo Bay (1960).